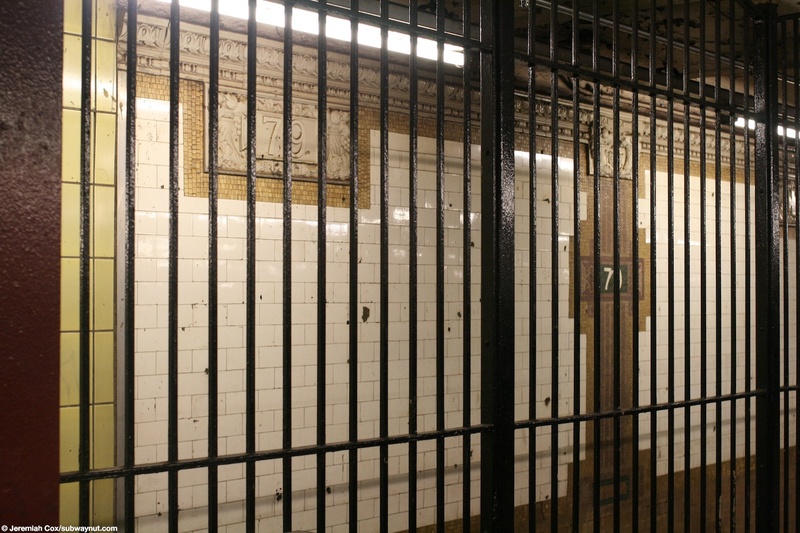 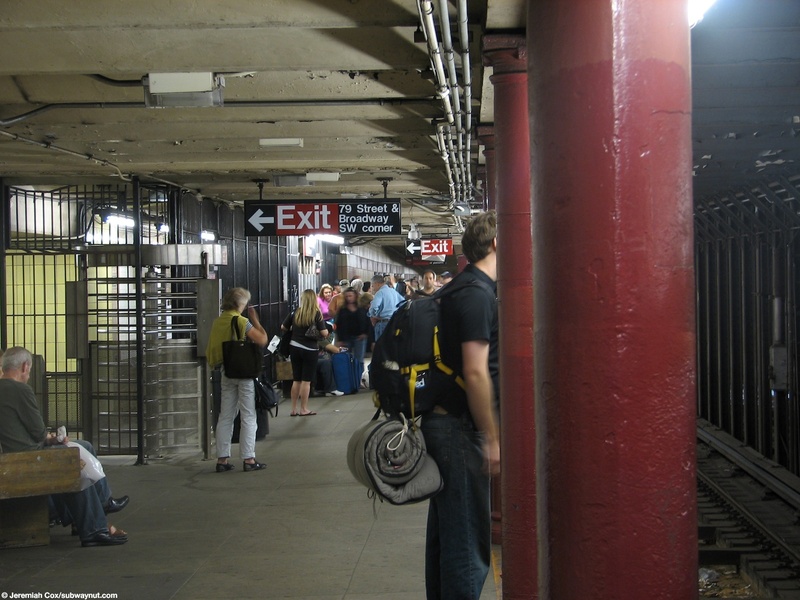 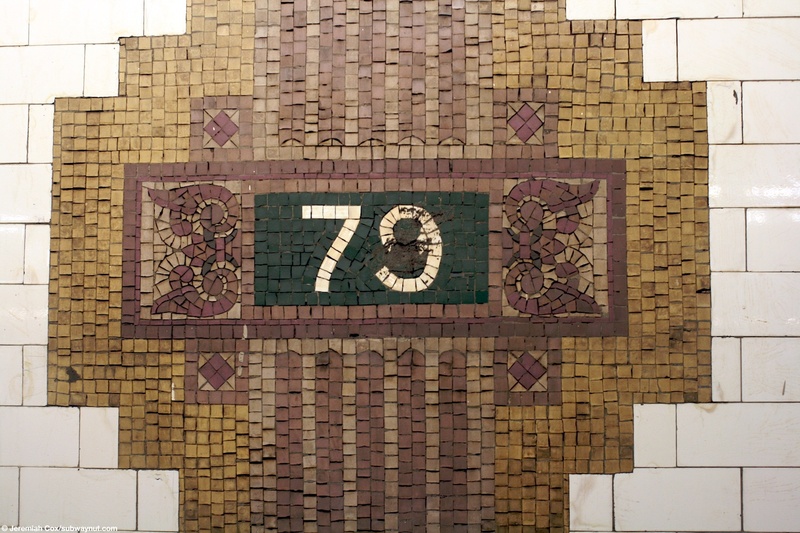 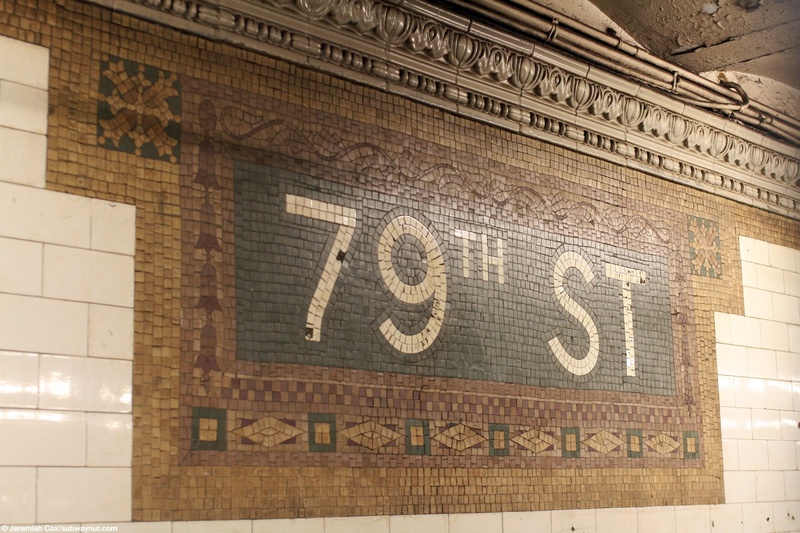 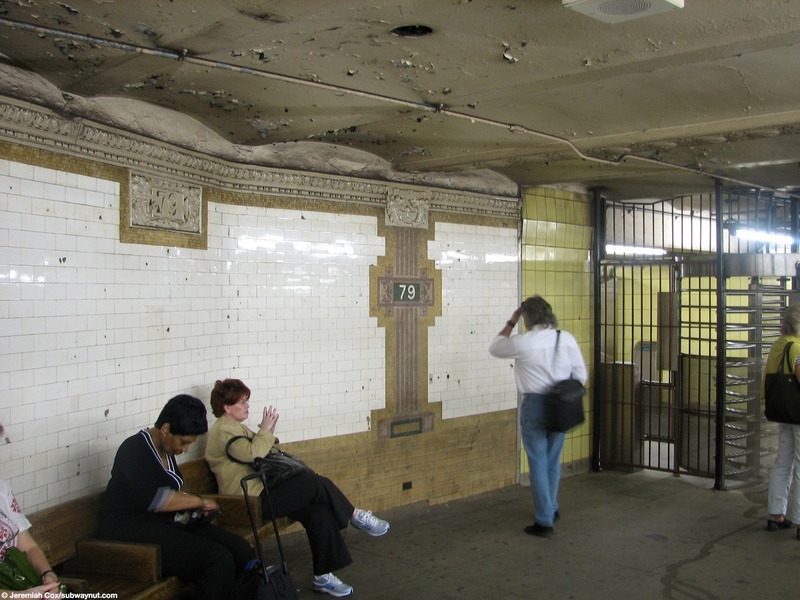 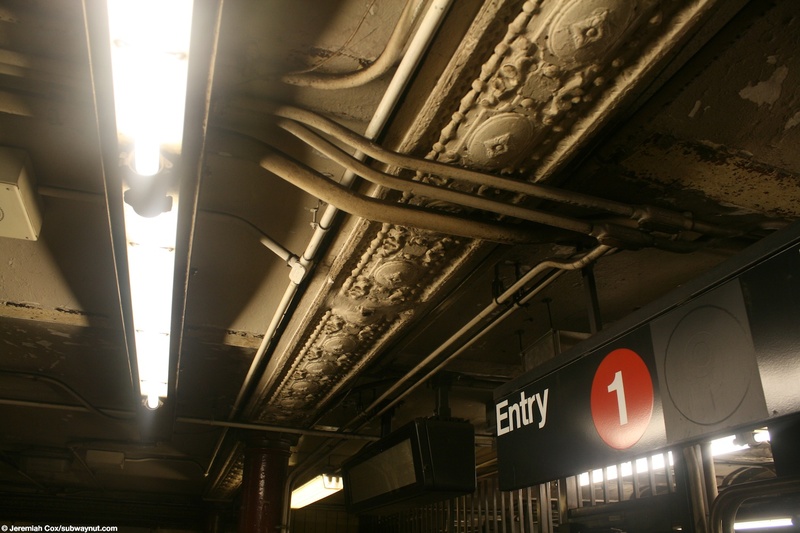 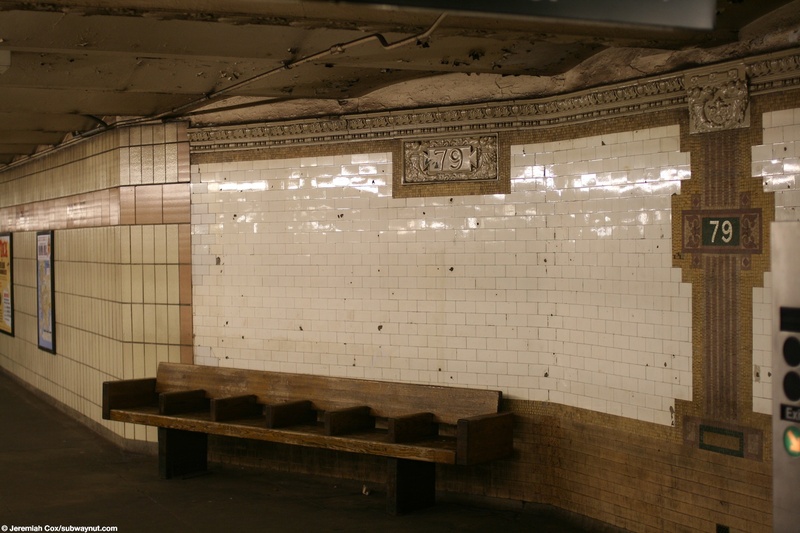 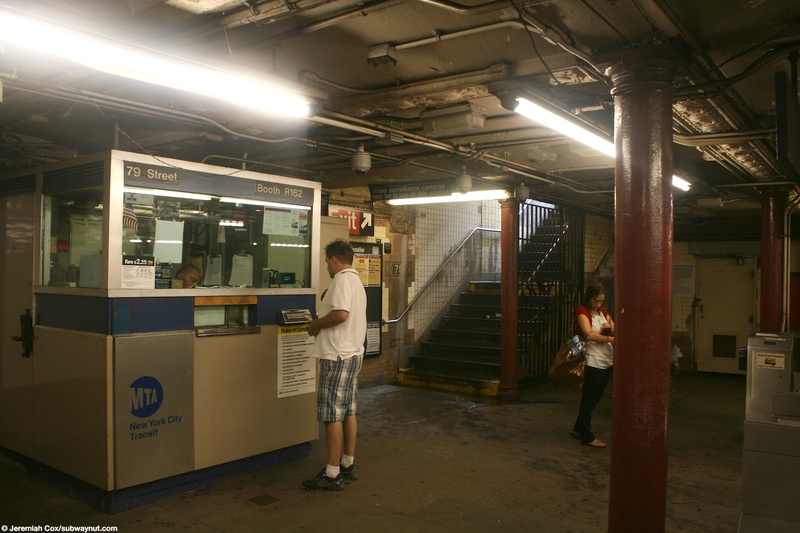 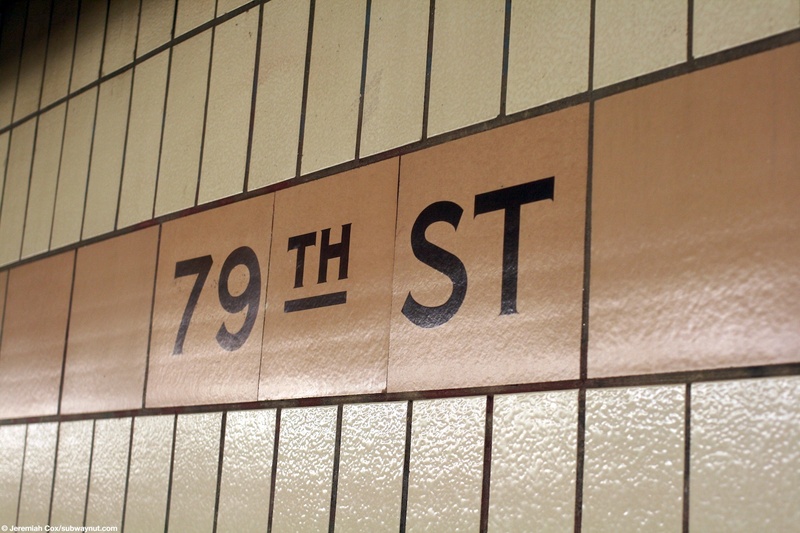 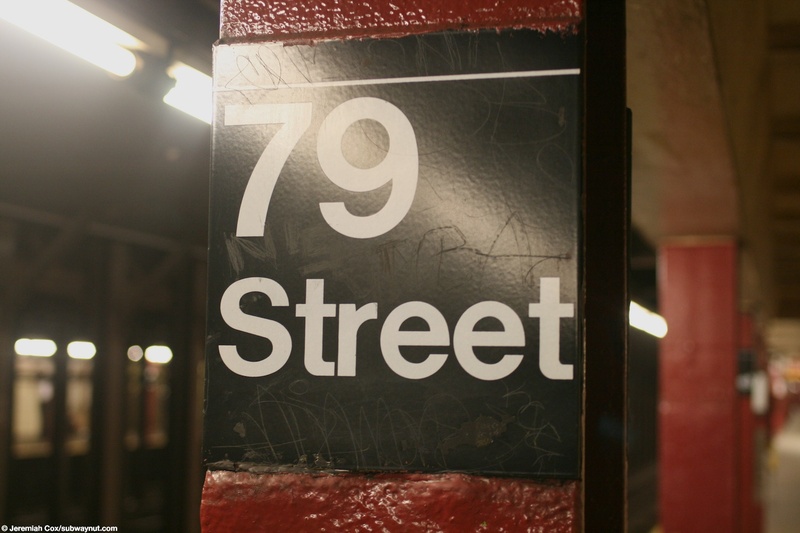 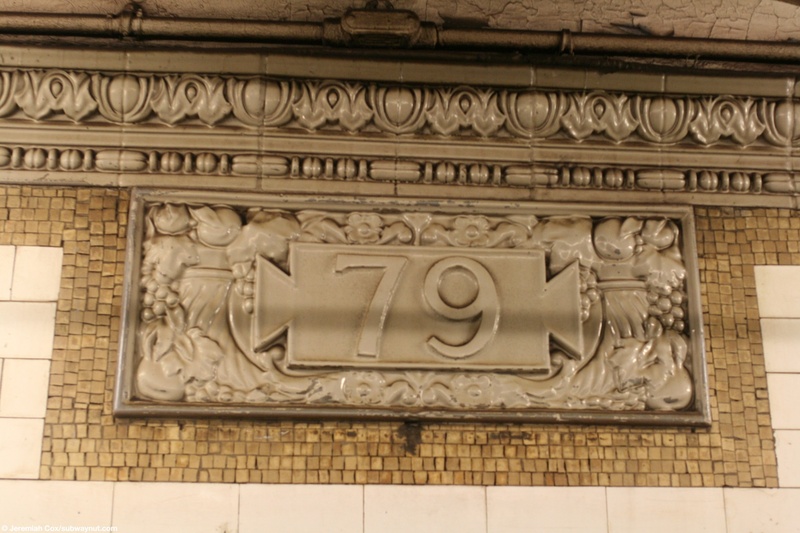 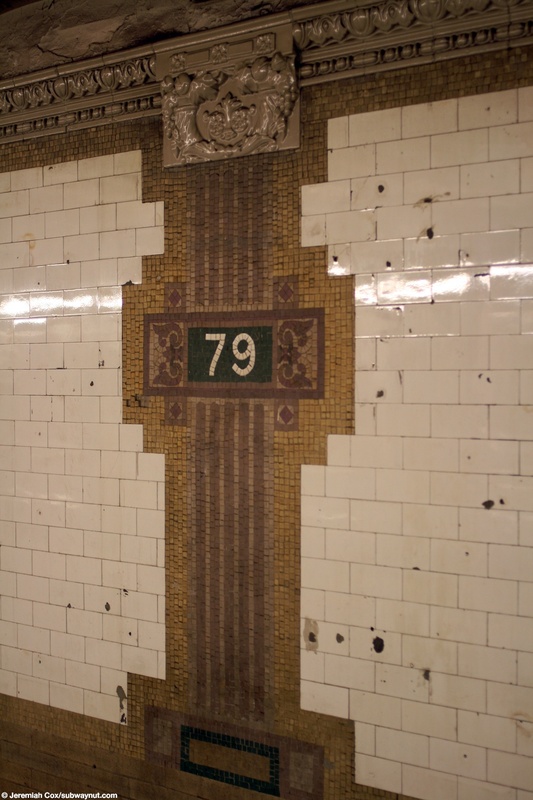 79 Street is an opening day on the IRT station that has very few of its original molding features visible expect right around the fare control area and almost entirely outside of fare control. 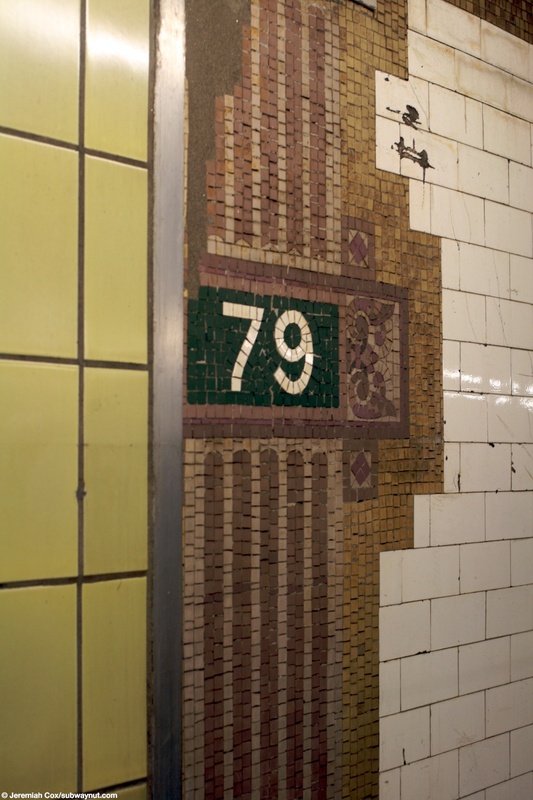 The rest of the platforms have the newer cinderblock looking cream color tiles with a pink trim line that says 79th St in it at regular intervals. 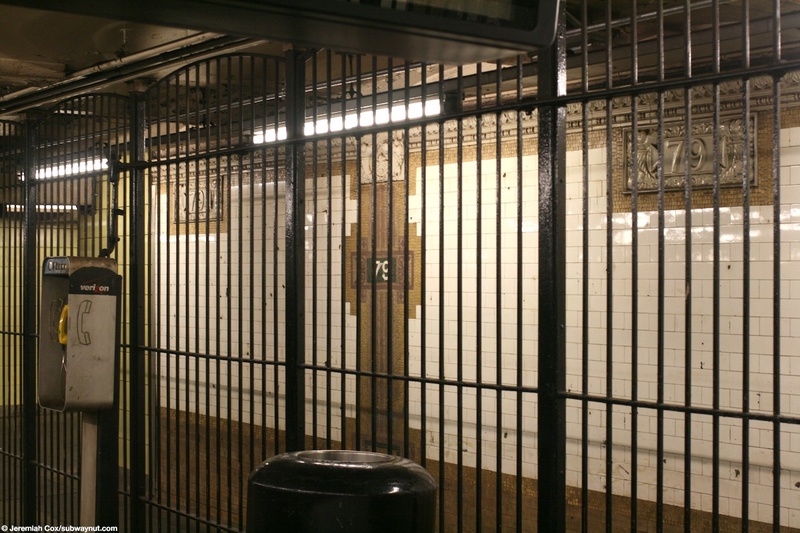 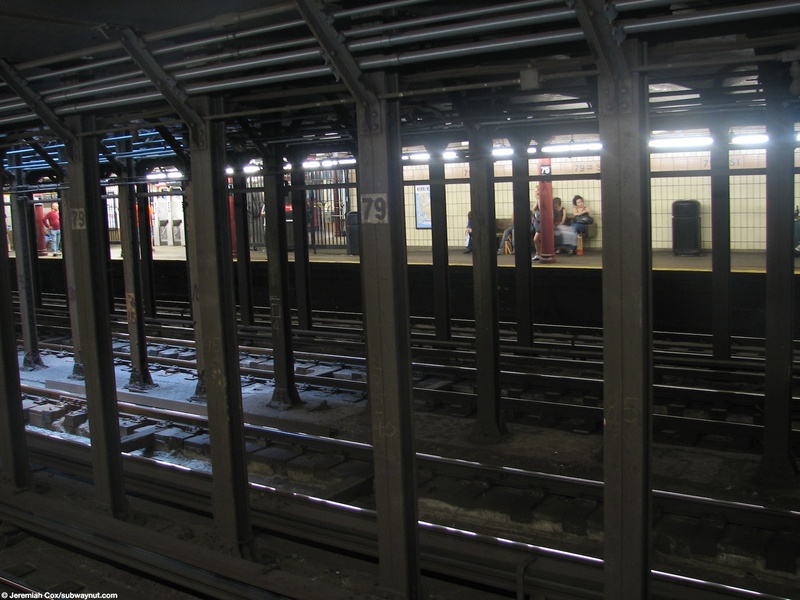 For exits each of the two side platforms on the four track line are fairly unique because the station when it opened was in an undeveloped potion of Manhattan and each platform was given only one street stair on catty corners, later a streetstair from the opposite side of 79 Street was added so this now leads to a High Entrance Turnstile on the downtown platform (the SW corner) and an exit only turnstile on the uptown (NE corner) one before a narrow fenced in passageway (where almost all of the original molding and tiling can be found, expect for a tiny portion on the downtown platform just south of the High Entrance Turnstile) leads to the small main fare control area where the turnstiles are and a still staffed token booth on the downtown platform only. 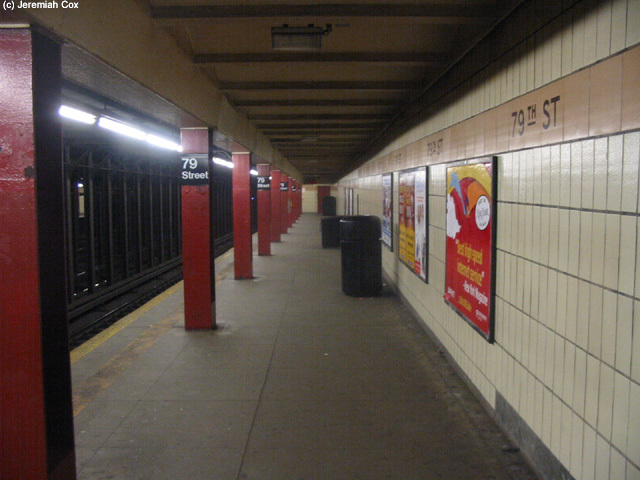 Here there is a streetstair out to NW corner from the downtown platform of 79 Street and Broadway, and the SE corner from the uptown.